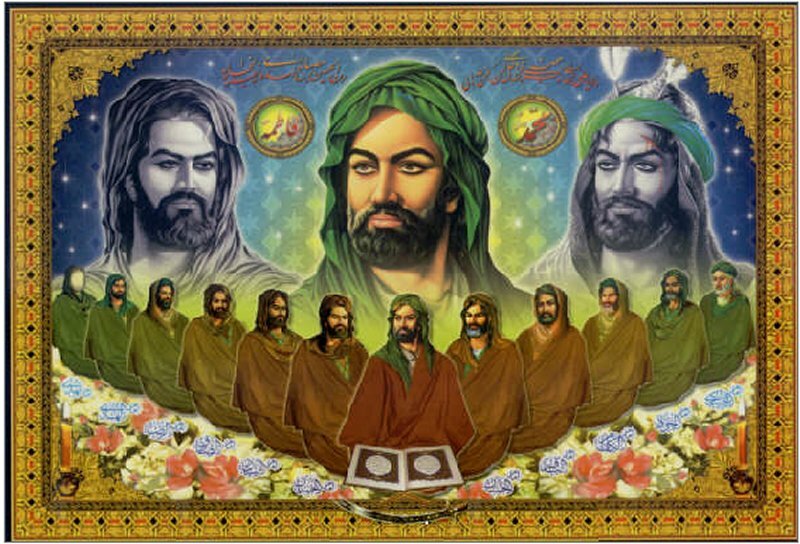 The Abbasid caliphs were said to have heard that the Twelfth Imam of the Shiites would establish a just Government and would rule over the east and west of the world, and would destroy the foundations of injustice. Therefore, to counter this event, they tortured and shed the blood of the Shiites. In the year 235 A.H., Mutawakkil, the 'Abbasid caliph, ordered the Tenth Imam Mohammad Hadi (AS) and his family to be shifted from Medina to Samarra', his seat of government, so that he could keep a close watch on the Imam of the Shiites. The search to find and kill Imam Mahdi (AS) was intensified when Imam Hassan Askari (AS) died, since it was said that on that day the command of Divine Leadership (Imamate) was to be entrusted to the Twelfth Imam, and the universe would come under his authority. When Imam Hassan Askari (AS) died, the office of Divine Leadership (Imamate) was transferred to the Last Luminous Pearl of the Household of the Holy Prophet (S), Imam Mahdi (AS). The Twelfth Imam is believed to have been only five years old when the Imamate descended upon him in A.D.874 at the death of his father. 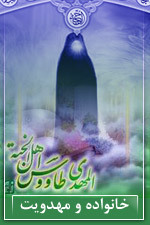 The Twelfth Imam is traditionally called Imam al-'Asr, the Imam of the Age, and Sahib al-Zaman, the Lord of Time. Because his followers feared he might be assassinated, the Twelfth Imam was hidden from public view and was seen only by a few of his closest deputies. Sunnis claim that he never existed or that he died while still a child. Shias believe that the Twelfth Imam never died, but disappeared from earth in about A.D. 939. The city of Samarra is of interest to Muslims and is a famous place of Shi`i pilgrimage. This city is located in Iraq, 120 km north of Baghdad and lies on the east bank of the Tigris river. Several times the ancient city of Samarra has been destroyed and rebuilt. It is the burial site of Imam `Ali al-Naqi (pbuh), the tenth Imam, and Imam Hassan `Askari (pbuh), the eleventh Imam. There is also a famous basement there which is said to be the place where the twelfth Imam of the Shi`a, Imam Mahdi (May God hasten his renewed manifestation) went into occultation. The mosque of the last Imam in Hilla marks the place of his expected reappearance. Since that time, the greater occultation of the Twelfth Imam has been in force and will last until God commands the Twelfth Imam to manifest himself on earth again as the Mahdi or Messiah. Shias believe that during the occultation of the Twelfth Imam, he is spiritually present--some believe that he is materially present as well--and he is besought to reappear in various invocations and prayers. His name is mentioned in wedding invitations, and his birthday is one of the most jubilant of all Shia religious observances. Although His Eminence did not appear among the people, some persons in whom he had trust and confidence were allowed to visit him. After the year 329 A.H., when the major occultation (Ghayba) commenced, the special deputation of Imam-e Zaman terminated. The purpose of the Imam's going into occultation is compared to the sun being behind the clouds yet being a source of vitality and life for living creatures. Likewise, while the Imam is behind the veil of occultation, he is still a source of the existence and remaining of the world. Folklore holds that the Imam does visit the world, and that every Shi'ite meets the Imam once in his life, but does not recognize him. During the time when the Imam was present, the Shi'ites and their sincere followers would bring all their inquiries and refer whatever problem they had to the Imam, without using their minds themselves or giving themselves the trouble of problem solving. Whatever the Imam would say would be taken as valid and to be acted upon. But once the Imams said that all religious problems were propounded and stated in the Qur'an and sunnah, the Shi'ites became certain that the solution to all of the religious problems, until the Resurrection Day, could be found in previous reports about the Imams. Hence, they should find the answers to their problems by thinking on their own. Accordingly, the subject of ijtihad came about and the Usuli School of jurisprudence was formed along these lines. The authority under which jihad is waged is at once both religious and political. Historically, the unification of religious and political authority has more often than not remained an unrealized ideal. Exactly when the ideal has been realized, and what to do when it is not, are two central points of controversy within the Islamic world. After the occultation of the twelfth Imam, the issues of education and training in. Islamic law (shari'ah) and the spiritual path (tariqah) became separated. The Shi'ah, for the most part, have argued that no offensive jihad can be launched during the period of the occultation of the Twelfth Imam ('a) because of the absence of legitimate unified religious and political authority to do so. Prohibitions against jihad during the occultation were seen by some as requiring passivity in the face of unjust rule, and for this reason, the British are said to have imagined that Mahdism could be promoted as a device to quell unrest in their Muslim colonies. The idea proved to be mistaken because there are three ways in which belief in the Mahdi can become activist, and even violent: first, someone might appear who claims to be the Mahdi. This happened in the Sudan at the end of the 19th century. Second, active struggle may be seen as required to prepare the way for the Mahdi's reappearance. This was a theme that was exploited by Ali Shari'ati in his efforts to gain support among the Shi'ite masses to overthrow the Shah of Iran. Third, and this is a common view among contemporary Shi'ite 'ulama, the responsibilities of the Imam may fall upon the jurists during the absence of the Imam. Dua-ye Nudba is one of the most important and famous authentic duas of the Shia. "Where is the chief of all creatures and the Godfearing? Where is the Accumulator of the words of piety? Where is the Master of the Day of Victory and "the one who will spread the flag of guidance"? Where is the Uniter or the companions of virtue and divine pleasure? Where is the Avenger of the blood of prophets and children of prophets? Where is the one ready to annihilate the oppressors? Where is the Awaited one for straightening the crookedness and dishonesty? Where is the one who is expected Imam Mahdi (AS) to abolish oppression and transgression? Where is the Enlivener of the tenets of religion and its adherents? Where is the Breaker of the might of the transgressors? Where is the Demolisher of the edifices of polytheism and hypocrisy? Where is the Destroyer of the followers of disobedience and rebellion?" The reappearance of the Imam in human society after the major occultation is not for the purpose of delivering any new message, nor any alteration in the system of human life, not already provided for or implied in the Holy Qur'an and the Sunnah. His reappearance is as the chosen executor of the divine law. He reappears with the sole purpose of reducing all religions of the world into one approved by God, namely Islam, and then seeing that it is extended throughout the world and practiced by every human being. He reappears to spread justice, prescribed by Islam, all over the globe. 'He fills the earth with fairness and justice, after the earth would be filled with injustice and aggression' (Majlisi, II, Bihar al-Anwar, Vol. 42, p. 336). The apostolic reports assert that he will reappear with such divine power that all the temporal forces will be vanquished. He reappears not as a preacher of the divine will, as the pretending Mahdis of modern time would claim. He reappears as the powerful executor of the divine will and command. He reappears as the all dominating walayat. His 'total reappearance' is in the period wherein the spiritual mastership of perfect man over the realm of humanity will be manifested in the person of the Twelfth Imam, the last vicegerent of the last Prophet. He represents the Prophet Mohammad (S) in both name and the real meaning of the word. The Prophet Mohammad (S), as pointed out earlier, is the term divinely assigned to the created being who is the first and the last in degree of perfection in the arcs of descent and ascent, and who is in the highest possible stage of communion with the Absolute. So his reappearance is the manifestation of walayat, mastership of the Prophet Mohammad (S), on earth. Some apostolic reports assert that the time will come when Imam Mahdi (AS) will be ordered by God to appear on the scene of humanity for the performance of the executive task assigned to him. He will then enter the sacred mosque at Mecca and keeping his back to the wall of the Ka'aba, declare his appearance to deliver mankind from the miseries of injustice and the licentious existence of the time. Hours prior to his declaration, there will be a similar declaration from Dajjal, the anti-Mahdi personality. Both declarations will be heard throughout the globe at once. The chosen devotees of Imam Mahdi (AS), who are the same in number as the faithful warriors of Badr, and others willing to respond to the sacred call will reach Mecca within a very short time. The communication throughout the world will be very quick. The people will see each other from remote places. These prophecies were made and recorded at a time when the natural forces and the means of communication at the disposal of man were confined only to donkeys, mules, horses and camels on the land, sailboats on the sea, and pigeons, hawks and other trained birds in the sky. Nobody had even dreamt of the modern means which man is using for communication and contact today. The impossible of that time is becoming the simple, fact of today. Imam Mahdi (AS) combines in him the dignity of Moses in perfection, the grace of Jesus and the patience of Job. Thus, in the person of Imam Mahdi (AS) the two chosen branches of Abraham's issue are reunited. By the reappearance of Jesus, to follow the lead of Imam Mahdi (AS), the kingdom given by God to the family of Abraham will be manifested under the banner of Islam, the sole religion approved by God. The heavenly kingdom will be established on the earth, through Imam Mahdi (AS). He represents in name, nature and attributes, the last Prophet, Mohammad (S). His leadership will be accepted by Jesus, and other godly men of spiritual attainments will appear on the scene, of their own choice. Also some of their opponents will be forced into the scene by the agencies functioning in that realm. The reappearance of Imam Mahdi (AS) and his reign is termed as Zahour-Mahdi (AS). The appearance of Jesus is termed as Nozoul-e 'Isa (AS), the descent of Jesus. The appearance of other persons who died or their wicked opponents is termed as Raj'at. The process is termed as the minor resurrection (Qayamat-e Sughra), the rule of the perfect man over the world. It has to precede the major resurrection (Qiyamat-e Kobra), the manifestation of the divine kingdom over man and the universe.